Visiting the capital city of Australia on October 18th. - With a population of about 390,000, it is Australia's largest inland city and the eighth-largest city overall. The city is located at the northern end of the Australian Capital Territory (ACT), 280 km south-west of Sydney, and 660 km north-east of Melbourne. - It is unusual among Australian cities, being an entirely planned city outside of any state, similar to Washington, D.C. in the United States, or Brasília in Brazil. - The city's design was influenced by the garden city movement and incorporates significant areas of natural vegetation that have earned Canberra the title of the "bush capital". 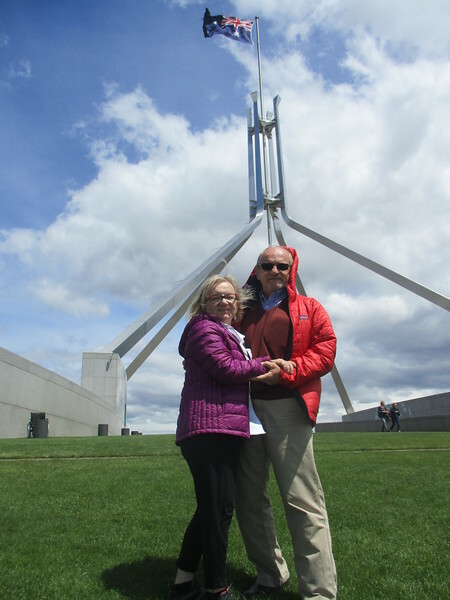 - The word "Canberra" is popularly claimed to derive from the word Kambera or Canberry, which is claimed to mean "meeting place" in Ngunnawal, one of the Indigenous languages spoken in the district by Aboriginal people before European settlers arrived.